Oracle 12c Released in July 2013, and with every release for new oracle database version we expect huge amount of book to be released also, Books Talking about new Features, Administration, RAC, Data Guard,and finally Backup and Recovery. Examples for the new features. Cover The specific topic and cover it so well. And Trust me when i am saying i need another post to talk about these two author. 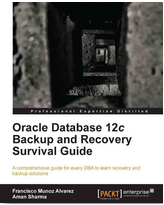 the books contain an amazing information for every DBA, it’s not necessary to be an expert to buy this book because they already covered everything from beginning with Examples or should i say with Lot of examples, what i would say here i recommended this book because it’s contain best practice for Backup and Recovery Covered by two Oracle Experts. I have to say this chapter give me new idea about Nologging, and describe Best Solution for Nologging and Logging Operating in Database. Discuss 12c New Feature Related to Backup and Recovery ( RMAN,Datapump .. ) and simple description about multitenant Features and Architecture. Describe All kind of backup,Offline,cold and hot with Examples and Description for these example. This Chapter Describe RMAN Architecture & RMAN Concept Backup and how to use RMAN with oracle 12c,how to backup Controlfile, Spfile and Archive log,how to use Fast Incremental Backup. This Chapter Covered how to configure database for backup and recovery and how to configure RMAN for Backup, All the configuration covered by Examples and Lot Of scenarios.Configuration for Compression backup,snapshot and authentication for RMAN. From the Name of this chapter it’s covered RMAN Catalog and Report command and List command to get query and check backup. This is Excellent Chapter for All DBA it’s Contains information how to troubleshoot RMAN,Tune RMAN, and how to monitor RMAN Session , Useful for Every DBA. This Chapter talking about Data Pump Architecture and Examples how to move data use data pump. If you want to move to next level and Increase your knowledge about Data pump , this chapter contains topics every DBA needs such as create small copies of production, create database in different file Structure, Moving Object from one table space to another and other excellent topics. Enterprise manager 12c and Sql Developer friends for DBA, and Have been used started to used by DBA’s All the above chapter using the command Line, but this one describe how to use these Two Tools to Configure backup and monitor backup, using export/import with EM12c. has over two decades of experience in consulting, analysis, support, implementation, and migration of Oracle products. He is also an expert in most phases of a database life cycle, for example, development, stabilization, security, backup and recovery, tuning, installations, and data warehouse (ETL) with excellent implementation and support methodologies. He is a popular speaker at many Oracle conferences around the world. is an Oracle Database consultant and instructor. He holds a Master’s degree in Computer Applications and has been working with Oracle Database for over a decade. His main focus is to understand how Oracle Database works internally. Besides the core database, he has a very strong knowledge of Linux, Solaris, Oracle RAC, Data Guard, RMAN, Oracle Exadata and Oracle Enterprise Manager. Finally i would thank Francisco & Aman for this amazing Book. Run the below procedure to generate the manifest file. I already working on the same host so no need to copy datafiles,if you are not working on same host copy datafiles to same location. Let’s Work On Container Database . after copy datafiles to folder, On Os Level , Create directory to use file_name_convert. 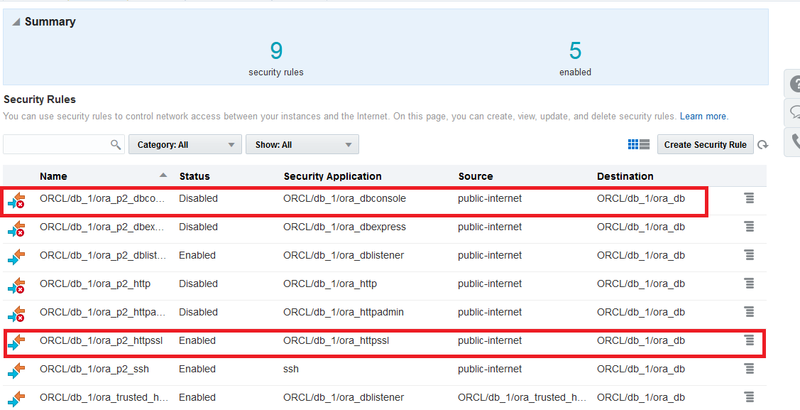 ,’/u01/app/oracle/oradata/newnoncdb’ : location for created directory. Now you plugged NON-CDB to Container Database successfully without any problems and it will works fine. until everything goes fine now to start capture you have to logout from sqlplus and start do what you need to do. in old version of oracle database if you want to create automatic generated number you have to create sequence and use attribute nextval. But with oracle database 12c this concept is changed new features add when you create table called generated as identity. The TEST_ID Column will be inserting automatically no need to use in insert command.